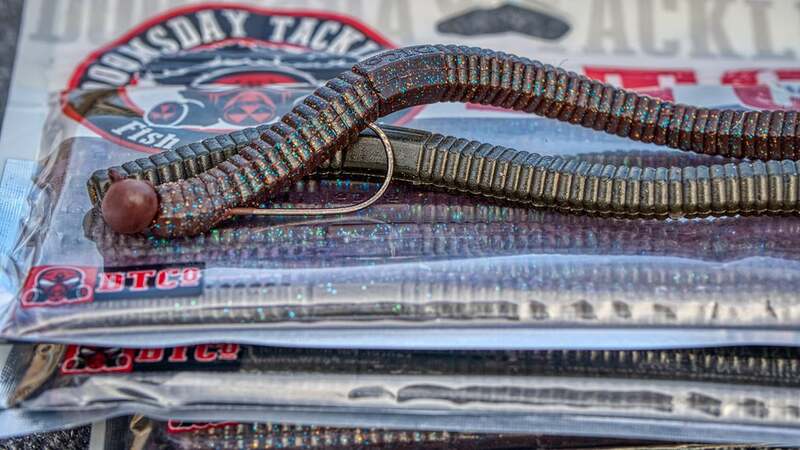 The Doomsday Tackle Roku 5.4 is a very versatile 6-sided soft stick bait that is becoming a staple for me with multiple bass fishing techniques. I've been fishing it a couple of years now and find myself reaching for it in a lot of different applications now. Here's a little more about this worm. The Doomsday Roku 5.4 measures just shy of 5 1/2 inches but I would classify it somewhere between a fat finesse worm and a soft stickbait. It exhibits slightly larger head and tail sections that give the Roku a nice shimmy on the fall. It also has a 6-sided shape. These flat edges catch water and cause the worm to flutter and move a bit more than smoother, rounder worms would. The material is soft but has a density to it that owner Will Stewart perfected in his time building highly custom shapes in Korea. 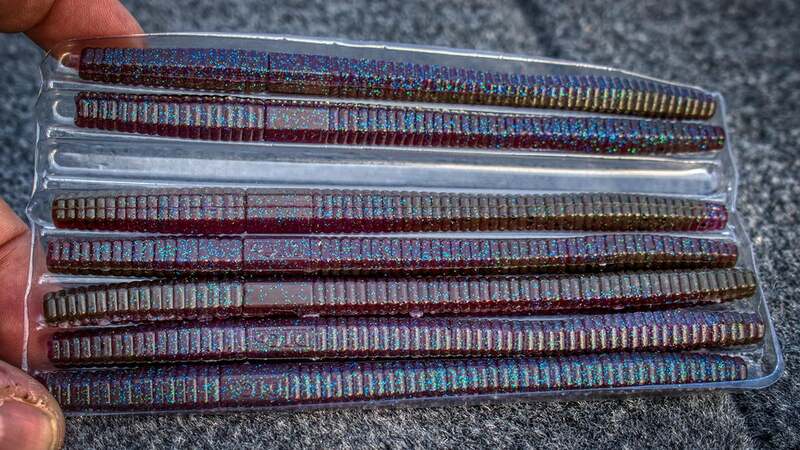 In that market, you have to make extremely creative and active lures that also fall into a lower price point, a challenge that requires a lot ingenuity to keep costs down and action special. The added weight and density of the material gives the Roku a really unique action and fishability when compared to other more traditional plastics. It has a special weighting material in it to make the bait fall and fish a certain way. 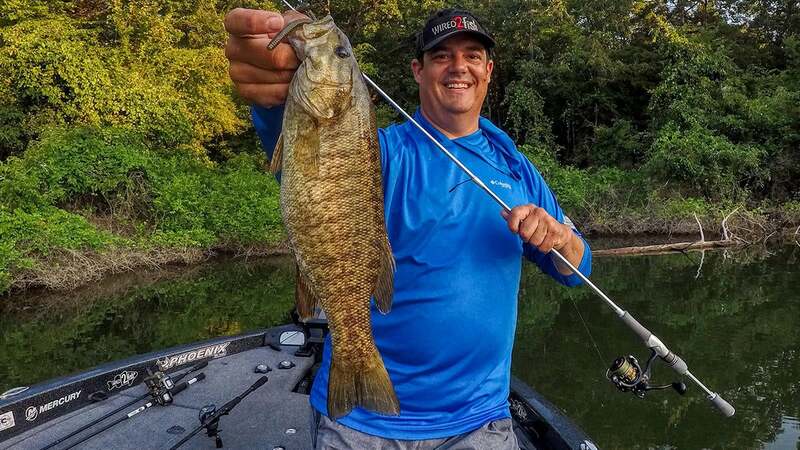 I have fished the Roku 5.4 on a shaky head, as a weightless wacky rig for skipping around docks and shallow cover, as a Neko rig both shallow and on deep ledges and as a finesse pitching bait with a light slip sinker around docks and brush in the late summer. 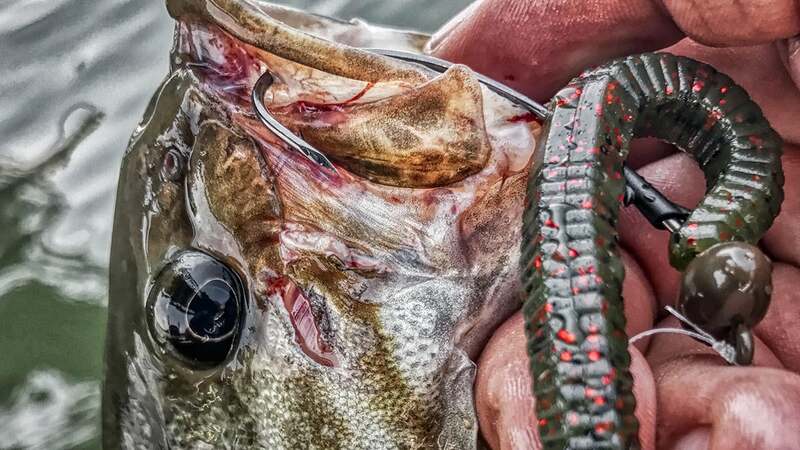 I've caught bass on a number of different techniques now from early spring to late fall, and because of that, I find that I'm ordering them more and more as one of my staples in bass fishing. The Roku 5.4 comes 8 to a pack, and they are in a tray that is in a thin package which is nice because they fit in a worm binder easily. I will slide a pack in my pocket usually when I'm fishing since it's not bulky. I sling them pretty hard when I'm skipping them around docks and shallow cover later in the spring, and I like that the Roku holds up really well to the abuse of catching fish and whipping the baits around rapidly. The material has a scent, and it seems to get more action as it gets chewed up and softens up a bit. I'm guessing the scent is probably dispersed a little easier as it gets chewed as well. But fish hold on to the worm when they bite. 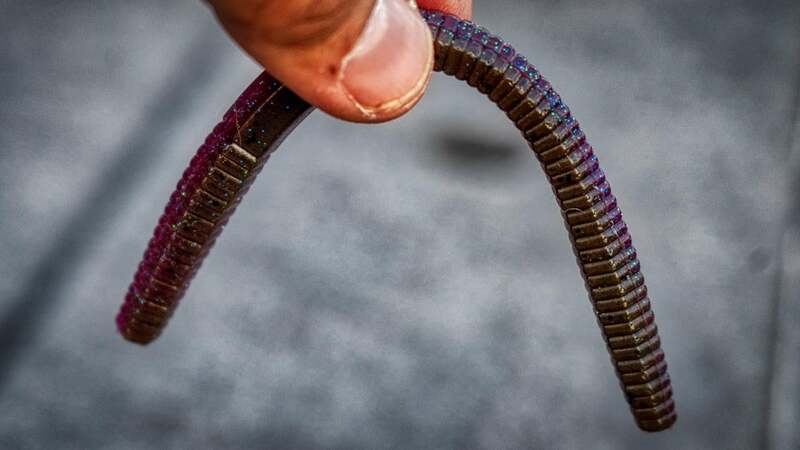 The worms come in a lot of really good fish catching colors. But really I haven't found a color I don't like. They are all fish catchers. Shallow or deep. Shaky head, wacky rig, neko rig, Texas rig. Doesn't really seem to matter how I fish them. I get a lot of bites on them. They are great numbers getters but I've also had some big fish on them. Especially flipping them around docks. Check out David Mullins catching a big one on the Roku flipping it around docks in Florida. I like the Bama Bug, Muddy Bayou, Watermelon Red and Green Pumpkin probably the best of the eight colors. But they have colors unique from other worms and I like that. A little different profile, action, color and scent is always a good thing in bass fishing, especially on pressured waters. 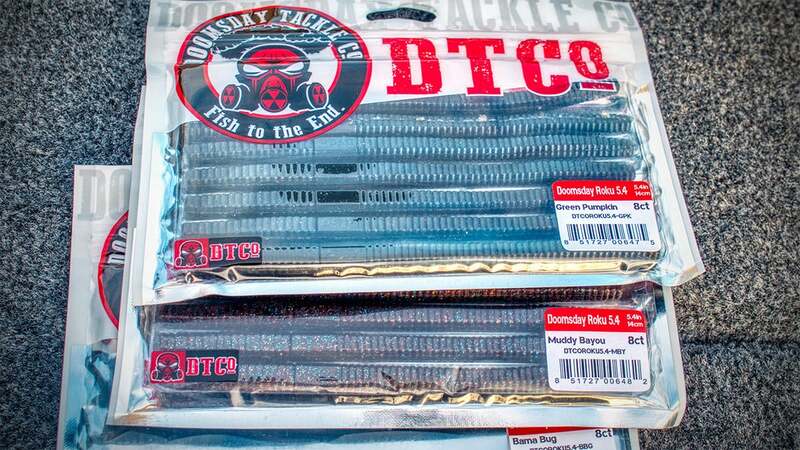 You can find the Doomsday Tackle Roku 5.4 at Tacklewarehouse.com and other retailers carrying Doomsday Tackle products.